It’s Black Cat’s last day in Paris before she goes to New York to look for a job. I’m delighted for her, of course, because she’s following her dream, just as I did 38 years ago, but I am very sad to see her go. We’ve decided not to say goodbye at the airport so we part ways in the street. I go back upstairs and try to work. 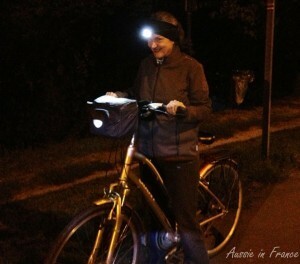 When Jean Michel phones at five to say he’s finished for the day, I suggest we go cycling along the Marne. 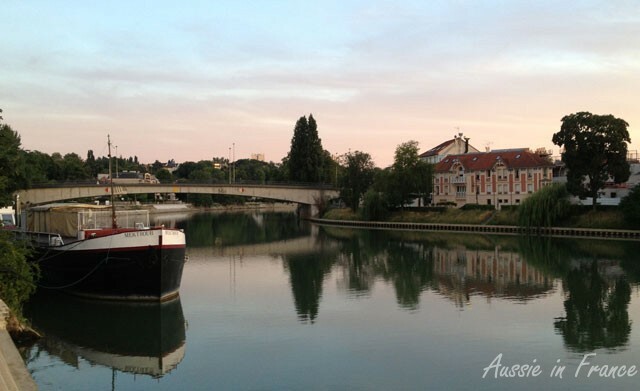 The cycle path from Pont de Bry to the old chocolate factory in Champs sur Marne remains our favourite ride and is filled with happy memories of when we lived in Fontenay sous Bois and could easily go there at the end of the day. 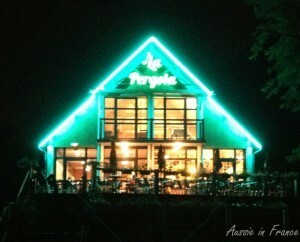 And we love stopping off on the way back for a barbecued côte de boeuf at La Pergola. As it’s the last Friday in August, there is very little traffic so we only take about three-quarters of an hour to get there. We’ve already phoned La Pergola to check they’re open and make sure our côte de boeuf will be ready when we arrive after cycling for an hour along the Marne. The owner recognises knows us as le couple en vélo even if we haven’t been there since last summer. As soon as we get on our bikes, I start feeling better. 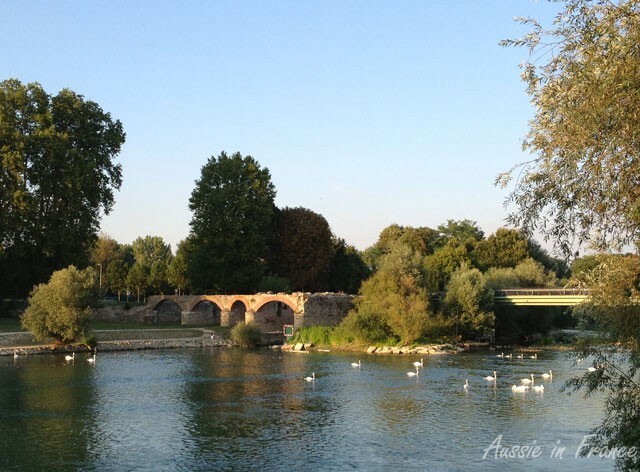 It’s a lovely day and the Marne is full of swans. We ride down to the chocolate factory and back to La Pergola. Our favourite table in the garden is waiting for us. The côte de bœuf arrives and it’s enormous. Since we began intermittent fasting in June , our appetite has diminished somewhat. We manage to finish it anyway particularly as the meat is delicious. Jean Michel even orders tarte tatin for dessert! Fortunately it doesn’t have any cream with it. It’s completely dark by the time we finish and we still have a 20-minute ride back to the car so we don our headlights and windcheaters and off we go. On the way, we pass the other, more recently opened La Pergola with its bright neon lights. I think it’s an eyesore. Next morning we’re not even remotely hungry so decide to have a fast day. Today is the first day of Black Cat’s new life! Good luck! 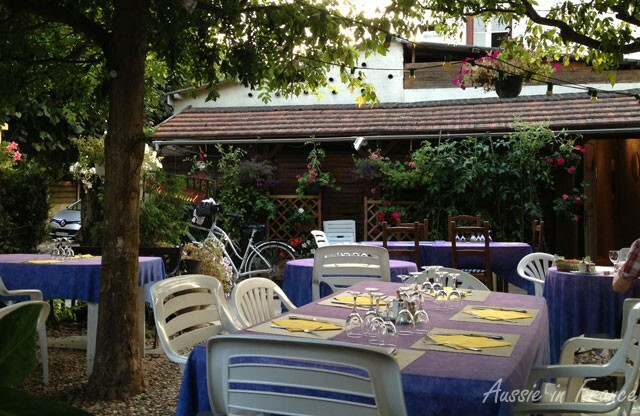 This entry was posted in Cycling, Family, Restaurants and tagged cycling, La Pergola Gournay sur Marne, Marne. Bookmark the permalink. Good luck to Black Cat and a hug to you. Expats beget expats. The children of expats know it can be done, and have the support of their parents, who recognise, as you say in the post, that they did it too. Thank you Susan for the hug. I do think it’s wonderful that she’s following her dreams and it might even be harder in your late twenties than when you’re 22 as I was! Well in Simon and my families we wait until our 30s ! You’re perfectly right Barb! Maybe we’ll meet in NY one day visiting our daughters! Never mind dear friend, Black Cat will have many adventures to share with you …. as well as a new place for you to visit and explore in the future. My best regards to her too! Yes, I’m sure she will and I guess I will go and visit her in the US but it might well put paid to my trips to Australia as I won’t be able to do both, I fear.